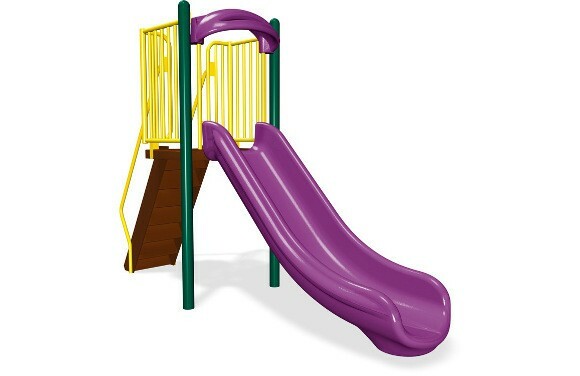 The 4' Single Velocity Slide is suitable for children aged 2-12 years and features quality construction and design. It is an affordable way to add a new independent play structure to a community park or playground, or replace older equipment with contemporary quality engineered playground equipment. Choose the new standard for outdoor equipment; durable rotationally molded plastic components which are seamless and UV stabilized to be resistant to both fading and outdoor wear. Rotational molded components are backed by our industry leading 15 year limited warranty. Choose from hundreds of unique color combinations and mix and match your plastic components with metal posts and structure to match to your existing park or playground. Safety designed with top railing to help prevent falls and a slide guard to ensure seated use of the slide for additional safety. 12 gauge galvanized steel upright posts are 3.5 in diameter. Steel Uprights are powder coated and backed by a limited lifetime warranty. 1-5/16"O.D. x 14 gauge steel tube handrails and barrier enclosure top bars. 1-1/16"O.D. x 15 gauge vertical rungs for barrier enclosures. Metal handrails and enclosures are powder coated and backed by a 50 year warranty. Access ladder constructed from 11 gauage hot rolled steel. Rotationally molded plastic components are UV stabilized for long term durability and fade resistance. American Playground Company is a recognized industry leader in quality commercial playground structures, park furnishings, shelters and more. 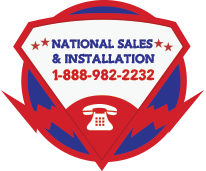 Call us and ask about our quality design support and installation services. We'll help you build your playground, and give you advice and resources to help you finance your commercial playground. Speak to one of our playground experts at 1-888-982-2232.